A team of five Brits and me flew from Chile, into Union Glacier 4th of December. Again, David Hempleman-Adams and me on tour down South, and last degree to the South Pole. Some few days at Union Glacier, Antarctica Logistic Expedition Camp, doing the last preparation and training. Then 7th of December we were airlifted by a Twin Otter all the way to our starting point, 88 degrees South. First few days we were moving very slowly and with short days, because of the altitude. About 2700 m in the beginning, however, physiologically it is more like 3300 m. Why? Because the air pressure at the Poles are lower than at Equator. On the move. One day from the South Pole. Team were good and we all came into good rutines. What was strange this season was four days in a row with White Out conditions and we even had to take a day in the tent because of strong wind and white out. I did not want to move in such weather because of the risk of frostbite, and possible problems to set up the camp again. 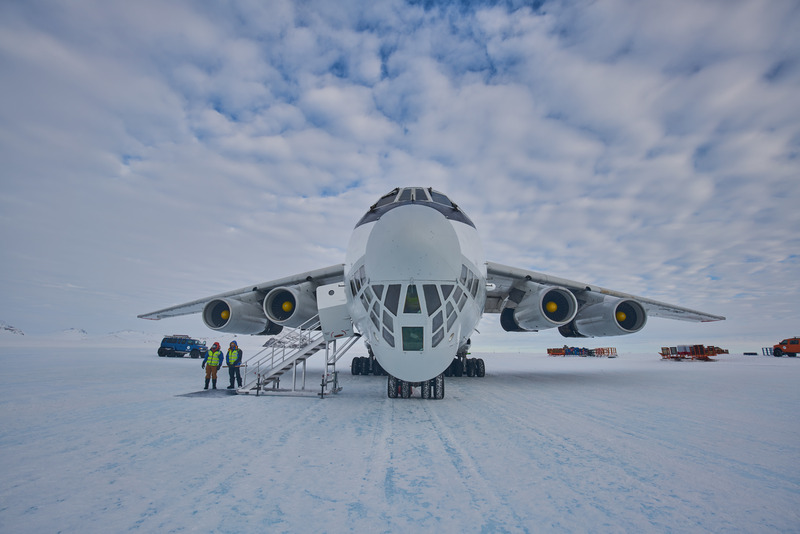 Arriving South Pole the 17th of December if I do not remember wrong, and very welcomed by Antarctic Logistic Expedition and Camp Manager Devon McDiarmid. Thanks to all crew from Antarctica Logistic Expeditions and Pilots from Ken Borrek Air!